I've got to say that YouTube sure has some interesting stuff and I'm kind of getting addicted to watching a dozen videos every night! But with great comedians like Nigahiga, KevJumba, Fred, and HappySlip I can spend several hours when I get home from work until the break of dawn watching them... stalking them, LOL! So the first on my list of favorite YouTube celebrities is the awesome tandem between Ryan Higa and Sean Fujiyoshi as seen on the picture to the right respectiv ely. 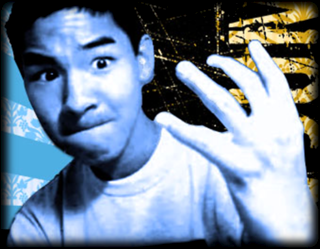 Nigahiga is a comedic group between the two and they have great "How to" instructional videos like how to be ninja, how to be nerd, and how to be gangster! I love the How to be a ninja because I know how to be a nerd by heart already so there's no need for any help in that department, I got it covered baby. Right now they have the "Movies in Minutes" series where as the name implies, they make short version or parodies of movies like Twilight, Titanic, and etc. But they actually have a movie of their own together and it's called "Ryan and Sean's Not So Excellent Adventure". Oh yeah, they both are Japanese but they were born in Hawaii. Now the second on my list is Kevjumba or Kevin Wu in real life. 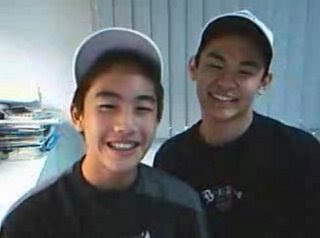 As Kevjumba said, you know Asians are darn cute! And this straight A, Pokemon loving, dude can sure make a statement and make girls say awe, you and your doggie are so cute together. But h e hates this statement because he doesn't want to be categorized as a cute thing together with his dog. He says he's a man, a gangster in fact... you be the judge. Anyway, although he doesn't seem to do skits that much like other YouTubers, just mere talking about controversial topics like racism and stereotypes with a hint of comedy is pure genius! He also has his signature dance moves which consists of him bobbing his head around and playing with his hands at the beginning of the videos which takes about one fourth of the video, but that doesn't matter cause the girls love it anyway. 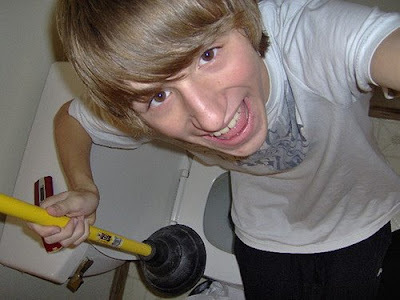 So the third YouTube star that I took a liking of is no other th an the noisy and irritating Fred Figglehorn who somehow makes my day brighten up somehow. Fred played by Lucas Cruicshank is a fast-talking, naughty, and hyper-active kindergartener who does funny and sometimes very silly stuff like lifting weights and hurting himself. Although Fred can be self-centered at times his innocence and energy makes him such a memorable face... and sound of course because Fred loves singing, even if he's extremely tone deaf. But that only adds more to his charm. Last but not the least is Christine Gambito's HappySlip. Christine, who is of Filipino ancestry, is an American internet personality and comedian who does all of her comedy sketches all by herself and playing all of the characters by herself by simply using wigs and clothes to impersonate members of her family. It's amazing h ow she is able to transcend and break through Filipino stereotypes and molds. I especially love the way she shows the Filipino culture in her skits and it doesn't hurt at all as she uses Filipino "bamboo English" to add humor to her sketches. So there you go, some of my favorite comedians on YouTube. I also know some excellent musicians on YouTube and I will indeed make a post on my top picks next time. I just wish I have enough confidence and not to mention the looks to make my own video log or YouTube video. You just wait, maybe I can be the next YouTube superstar with millions of subscribers and viewers everyday, LOL!